I'm back and ready to go with my favorite summer desert... wild berry crumble! We love to pick wild raspberries that grow along the four-wheeling trails near my in-law's home. It's truly a family affair, we load up the bike with tupperware containers and ride out on the trails in search of berry bushes. When we find them, it's pickin' time! We can easily come back with a gallon or more of these precious and yummy berries. They keep very well in the freezer and if you stash enough, you can enjoy fresh summertime treats all winter long! Unfortunately mine won't last that long. 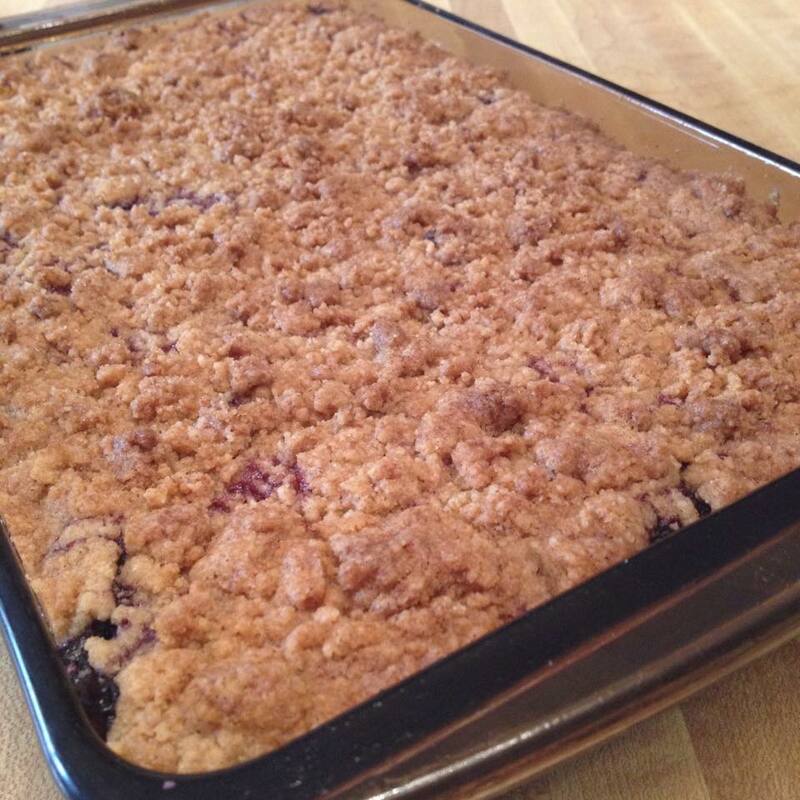 I've already made three crumbles, and the last one was a double! I only have one more portion of berries left and it's still only July! 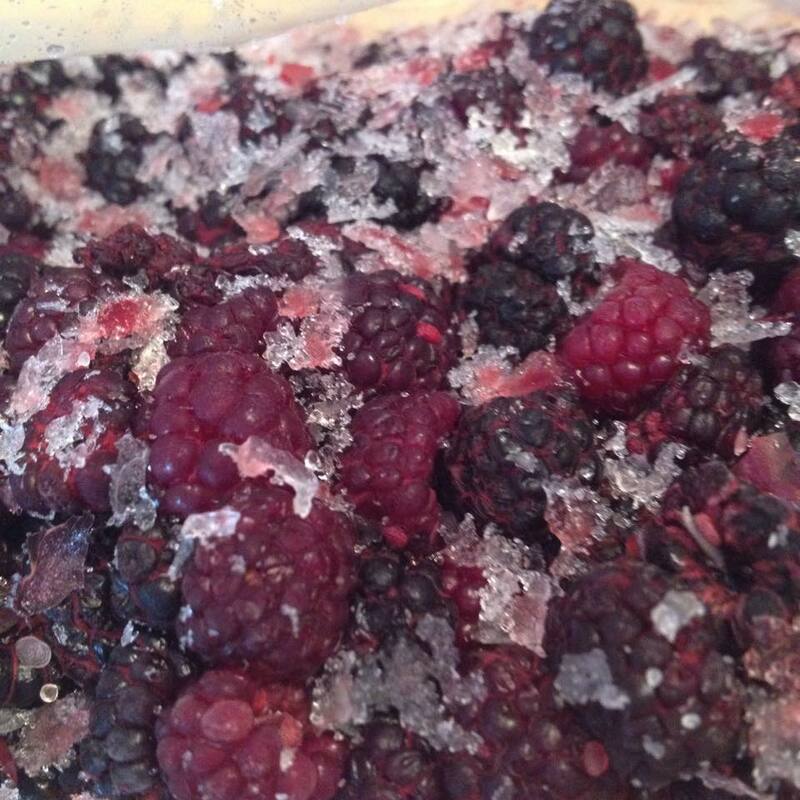 When we get home from picking I carefully wash and sort the berries in small batches to reduce incidents of breakage. I pick out any leaves, stems, bugs (yuck!) or bad berries. Then measure in 4 to 6 cup portions (depending on how much we've got) and freeze in ziploc bags. 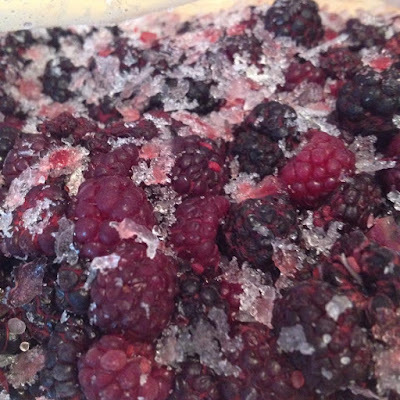 When it's pie or crumble time, simply defrost and use within two days. What Exactly is a Crumble? 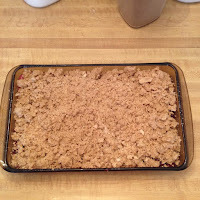 A crumble is my version of a cross between a cobbler, a pie, and a bar recipe. It consists of a delectable fruit base, which congeals into a perfectly spoonable solid, paired with a sweet and crunchy crumb topping. Let's face it, the crumb topping is everyone's favorite part of any dutch apple pie, coffee cake or crumb cake. 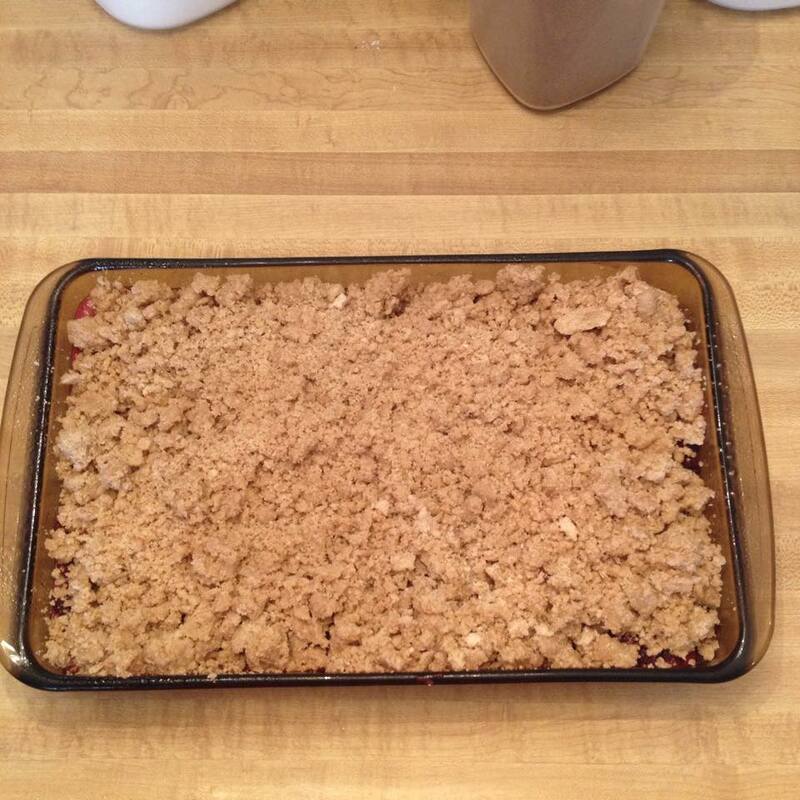 My crumble is extra special because I use Splenda to sweeten the fruit portion. This means you have 100% desert enjoyment with only half the guilt! 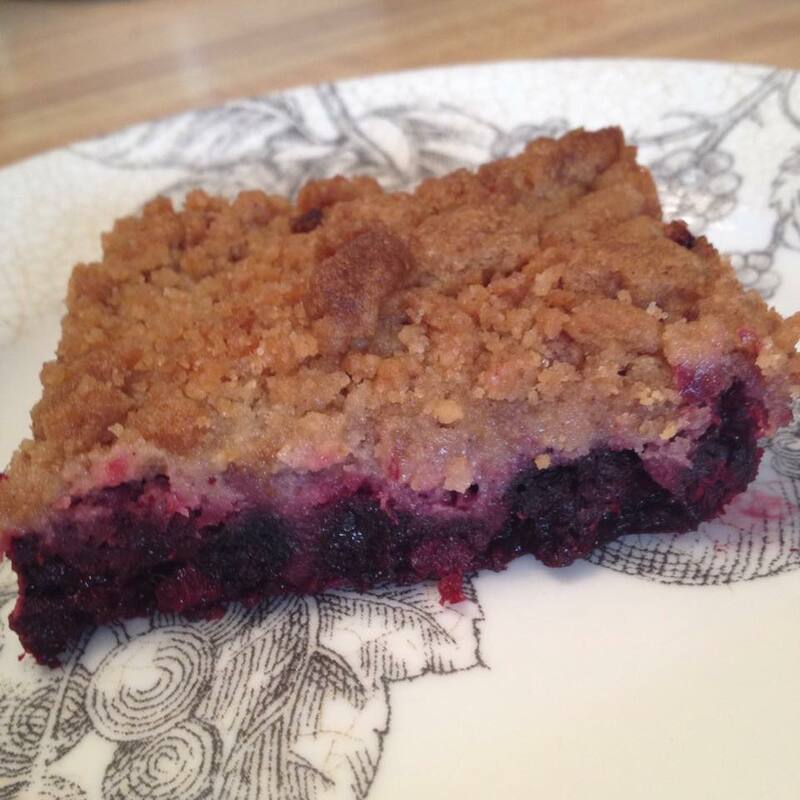 Feel good about the fruit, and not-so-bad about the decadent crumb topping. You love the fruit, you LOVE the crumb, why not marry such happy partners into one perfect recipe? It's win/win! Preheat the oven to 350 degrees, and grease (or use cooking spray) a medium sized baking dish. I used an 8 x 12 inch glass dish. 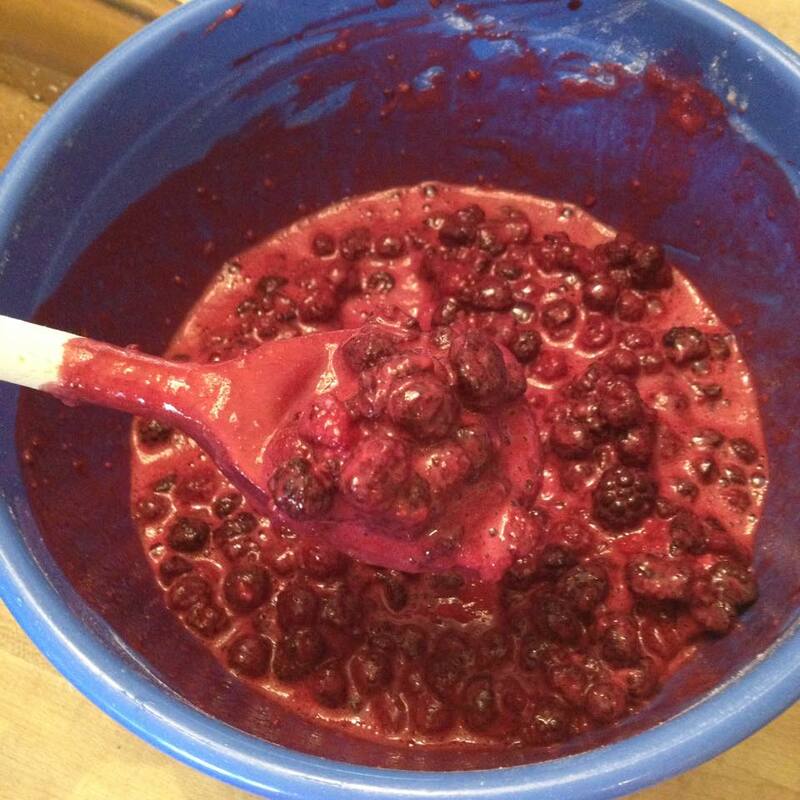 In a large bowl, combine the fruit, 1/2 cup flour and 1 cup granulated Splenda. Gently toss to coat fruit and absorb all the ingredients into the natural juices. Next, prepare the crumb topping. 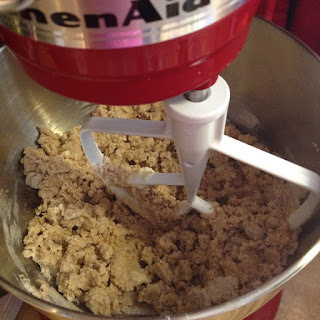 If you don't have a mixer, this can be done by hand, with forks, or a pastry cutter. Add all the remaining ingredients to the mixing bowl. Mix on low speed until the topping looks... crumbly! It is normal to see chunks of butter along with larger and smaller crumbs. Take care not to over mix during this step- especially with an electric mixer. Over working the crumb can result in the butter melting, turning the batch into one mass. 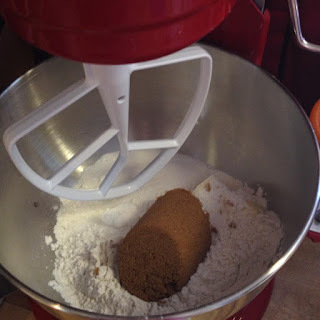 To fix this mistake, add small amounts of flour and slowly mix until crumbs appear once again. 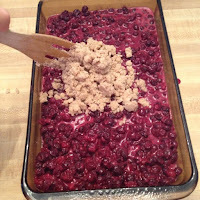 Now place berries into the baking dish in an even layer and gently top with crumbs. Spread crumbs evenly over the berries taking care not to press. Leave the surface looking natural, homemade and imperfectly perfect! Bake uncovered for 45 minutes at 350 degrees until fruit is bubbling and topping is crisp and golden brown. Enjoy this wild berry crumble, and don't be afraid to get creative! I've made mixed berry crumble with blueberries, raspberries, blackberries and strawberries and I've even tried strawberry-banana crumble too. 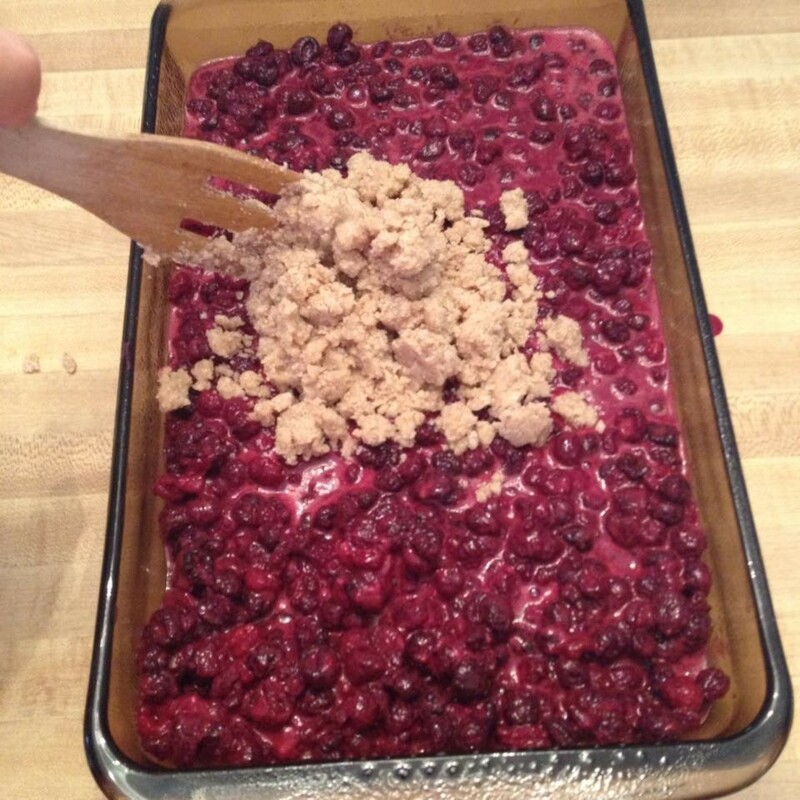 What pie flavor would you transform into a crumble?